In August 2015, Hussein Al Baldawi arrived in Belgium. He left the north of Baghdad and travelled more than 5,000 kilometres across land and sea. 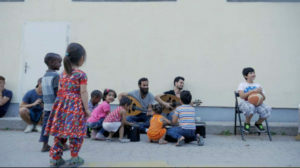 A year later, Hussein obtained his residence permit and realized a “great integration”: as a professional lute player, he made the soundtrack for several theatre shows, recorded an album collaborating with different artists, made concerts in Belgium and abroad. 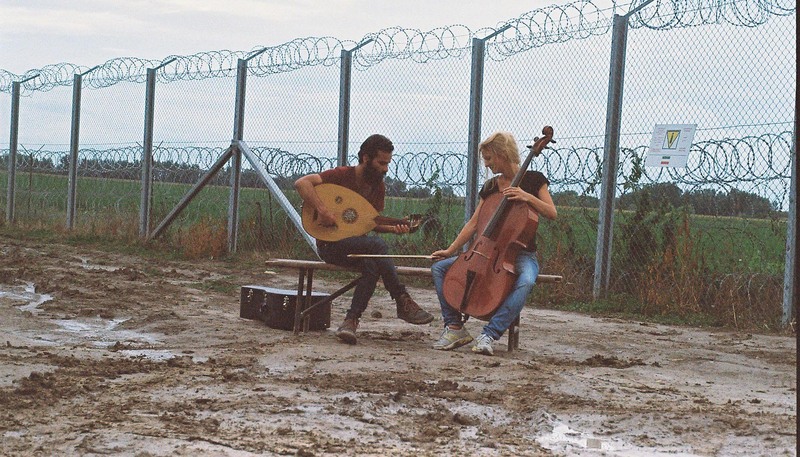 A few months after his arrival in Brussels, Hussein met his companion Juliette Lacroix, a professional cellist. Hussein and Dimitri come into contact with the “Be My Buddy” program organized by the Citizen Support Platform for Migrants in Brussels and quickly became friends. Dim is a film director and videographer. His previous film “Gesu Squat” shows his desire to raise the voice of those who live in precarious situations and to highlight political and social issues. He works on numerous projects with his acolyte Max, also a videographer. They are both part of the multidisciplinary collective ‘Les Meutes’. On August 5, 2016, Hussein calls Dim: “Habibi, it’s an emergency. We have to talk!”. Hussein explains that, now that his situation is legalized, he feels the need to retrace his steps, to walk the path he made a year ago. To go to Greece, the first European country in which the majority of immigrants arrive, is a way for him to remember the path he has travelled, and all that is significant. Revisiting the camps to where his people are still flocking is a way to never forget. As Hussein’s project was linked both to the want and the need, we had the feeling that we had to leave suddenly and spontaneously. 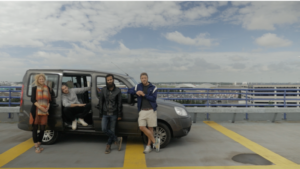 On August 14, 2016, we shipped the instruments, the filming equipment and we piled up in a car – on the way back to Greece. We are considering this a film with a double reading. On the one hand there is the story which gives us this form of road movie, this ‘red thread’ of travelling backwards. This first grid allows us to address the issue of refugees, their welcoming, their rights, their treatment, and the smuggling organizations that extract benefit from it. It is also a way of humanising this migratory phenomenon, which is discussed daily, and, of which we remember only a few statistics, since they are generally all high. It is also an opportunity to raise the voice to those who are not heard. The second grid of reading leads us to question the European project, its policy, its borders and its limits. The Way Back’s postproduction finished in the end of 2018. It is set to be released soon.